Clyde-Apac CSV safe storage cabinets are designed to contain laboratory chemical fumes (including formalin) and other odours given off by specimen jars and bottles during storage. CSV cabinets are manufactured in a variety of configurations including self contained units fitted with optional HEPA, carbon filters and ducted models that are designed to be connected to building services. The cabinets are manufactured in Australia and are available with a nominal width of 90cm or 150cm. 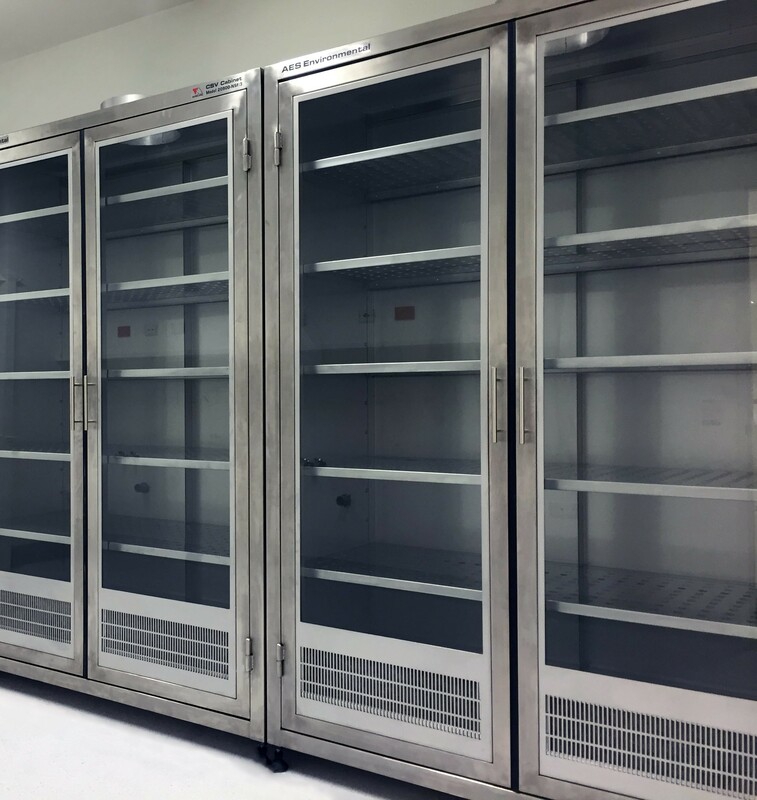 Each cabinet is factory-tested to ensure compliance with relevant Australian standards. Recirculating CSV modules utilise a direct drive fan that draws ambient air into the cabinet from the air intake that is located under the viewing window. Air passes through the perforated storage shelves and into the exhaust filter system, consisting of two stages of filtration, prior to being recirculated into the room. The first stage prefilter arrests > 90% of particles 5 micron and larger. The final activated carbon filter incorporates carbon granules with a selected chemical impregnation to optimise the arrestance of specific vapours. Specific impregnations are available for the handling of a wide range of contaminants. Cabinets operate on single-phase 240V, 50 Hz power via a 10A outlet. A low voltage touch control panel with function status indicated by LEDs is located on the front of the cabinet. An audible alarm indicates low air flow within the cabinet. Ducted models are designed to work with building services and can be fitted with additional filtration systems. Products produced by AES are factory tested to ensure compliance and performance targets are met. Additional testing and certification is recommended as follows: – On-site prior to use – After any electrical of mechanical maintenance – After filter replacement – After re-location – At least annually – In special circumstances, e.g. if faulty operation is suspected. AES Environmental is a NATA registered laboratory that provides comprehensive on-site maintenance, testing and certification services of safety cabinets, laminar flow work stations, cleanrooms, operating theatres and HEPA filter installations. 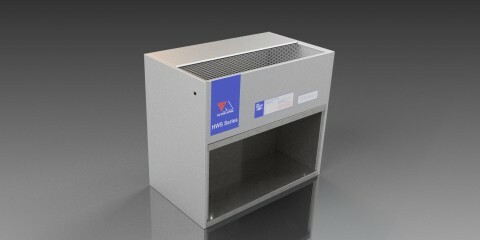 Contained Storage Ventilation (CSV) cabinets shall be Clyde-Apac manufactured by AES Environmental. CSV cabinets shall be produced in 304 grade stainless steel and 6 mm thick, toughened glass shall be used for the viewing window. Air shall enter the storage cabinet through the base of the door assembly and shelves must be slotted as to create air passage ways through-out storage areas. Recirculating CSV units shall be fitted with an appropriate fan and filter housing so as to provide safe containment to occupants of the laboratory, ducted units shall be fitted with top spigot connections at a minimum of 300 mm diameter.